No matter how beautiful your wedding gown is, how many flowers you’ve ordered or how much you absolutely love your wedding cake, none of this is going to matter very much if you don’t have a wedding venue. Out of all of the places where you could get married, one that should definitely be considered is a banquet hall. It’s traditional. It’s (usually) large. And, it features the kind of accommodations that are ideal for a wedding. 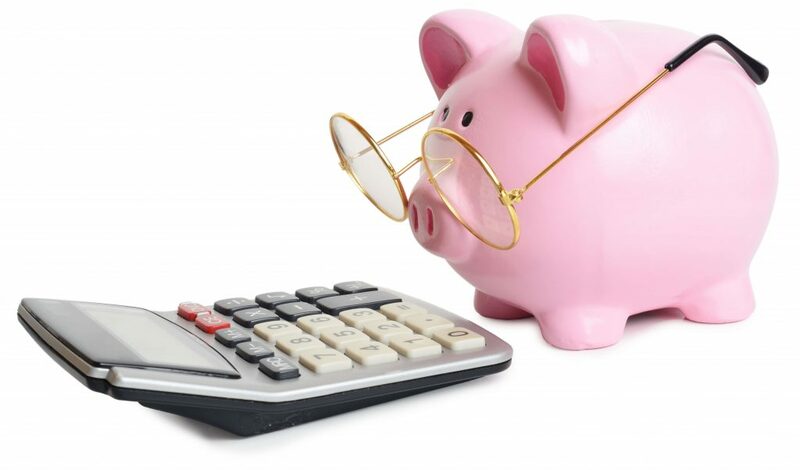 If we’ve got you sold on the idea, the next thing you should do is check this article out. Because we want your special day to be absolutely perfect, here are some tips to help you select the kind of banquet hall that will make all of your wedding day dreams come true. Some people try and talk themselves out of hiring a wedding planner because they think that it’s an unnecessary expense. Personally, we couldn’t disagree more because reputable wedding planners are able to keep things organized, relieve stress and they have connections that most of us don’t. One of those connections is to various banquet halls within your city. Although you don’t need a wedding planner to book an appointment with the manager of one of these venues, they could come in really handy when it comes to saving a few dollars on your reservation and deposit. Wedding planners are a confirmation that it’s not just about what you know but who you know. We’re pretty sure you have the perfect wedding date in mind, but if you’ve got the perfect banquet hall in mind too, it’s important to not get too attached until you get more information. What we mean by that is some of the most popular banquet halls can be booked months (sometimes even years) in advance. If you’ve got your eyes set on one hall in particular, be open to having more than one date in mind. That significantly increases your chances of being able to lock in a wedding date there. What if you’re not “married” to a specific banquet hall? All you know is you want to get married in one. If that’s the case, you can probably not only get married in a beautiful banquet hall, you can also find one at a really affordable price. Being willing to consider several halls means that you can compare and contrast prices. It also means you can take greater advantage of our next point. No two banquet halls are just alike. Each one has their own signature look and amenities. 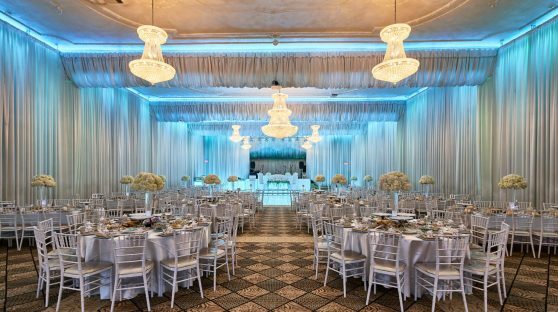 That’s something else to think about when selecting a banquet hall—you don’t just want a room to hold your wedding ceremony in; you also need a place that will accommodate you in such a way that it makes your wedding day go as smoothly as possible. That’s why you should also think about if you want/need rooms for your wedding party to get dressed in, beautiful spots to take pictures, an industrial kitchen for your caterers, a staff member who will be on-site the entire day of your wedding, possible valet, etc. You should get as much bang for your buck as you possibly can. You can do this by inquiring what each banquet hall’s full list of amenities are. Once you find the best banquet hall for your wedding day, DO NOT put down a deposit unless 1) there is a contract and 2) that you read it all the way through before signing it. If there’s not a contract offered by management, that’s a red flag because contracts help to protect the venue and the client. If the venue does not offer you one, that’s a sign that they are not as professional as they should be. Also, if they do offer up a contract and you sign it without reading it all the way through first, you could end up paying unexpected expenses should you arrive to the venue late, your catering staff inadvertently breaks some of the banquet hall’s rules or you end up cancelling your wedding day altogether. Finding the right banquet hall for your special day makes the wedding planning process so much easier. Just make sure you don’t settle for less than what you want, you pay what you can afford and you ONLY sign a contract that you are in full agreement with. Do these things and you’re well on your way to a totally awesome wedding day!